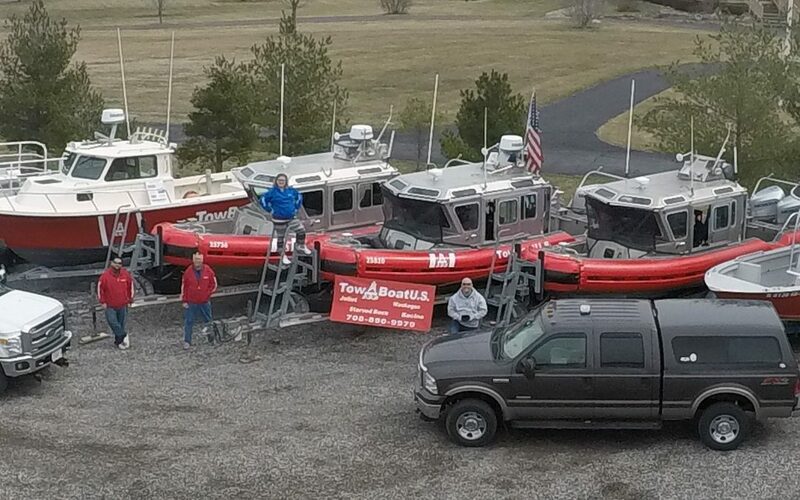 TowBoatUS Opens New Locations in Racine, Wis., and Waukegan, Ill.
Captain Gareth Stamm, a recreational boat-towing captain and business owner, opened his second TowBoatUS location on the Illinois River last year. Now Stamm is seeing growth potential on Lake Michigan with the opening of TowBoatUS Racine and TowBoatUS Waukegan. The two new locations, which span the Illinois-Wisconsin border, replace TowBoatUS Kenosha, essentially doubling the company’s fleet in a coverage area that extends from Waukegan north to Milwaukee. Stamm’s locations are part of a network of 41 TowBoatUS locations on the Great Lakes and 300 across the country. All of Stamm’s experienced captains are US Coast Guard licensed. TowBoatUS Racine is located at Pugh Marina. The port has a 25-foot former Coast Guard SAFE Boat with a welded aluminum-plate hull and hard foam sides, custom-built to take vessels safely in tow. An all-weather Parker 25 is located at TowBoatUS Waukegan in Waukegan Municipal Harbor. Both are rigged for towing, jump starts, fuel delivery and soft ungroundings, ready to go 24 hours a day and easily recognizable by their red hulls and TowBoatUS name and logo emblazoned in bright white letters on their sides. Separate from BoatUS on-water Towing Services, Stamm’s company also refloats sunken boats and provides salvage services. Boaters can reach TowBoatUS Racine and TowBoatUS Waukegan by hailing on VHF channel 16, by calling the company directly at 708-890-9979, by phoning the BoatUS toll-free 24/7 Dispatch Center at 800-391-4869, or via smartphone using the new BoatUS Towing App. More information can be found at BoatUS.com/Membership.